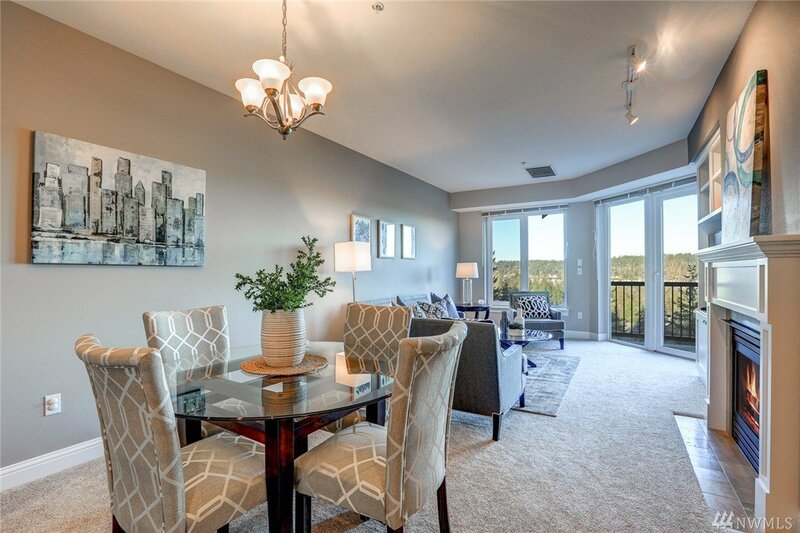 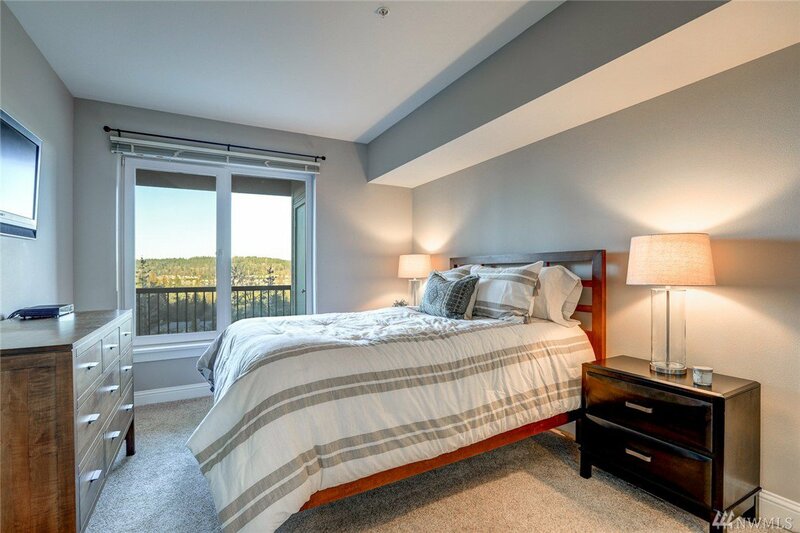 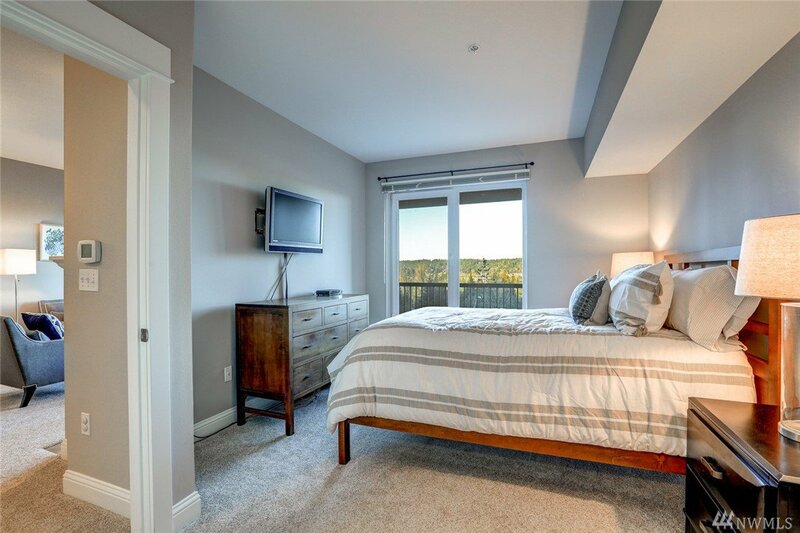 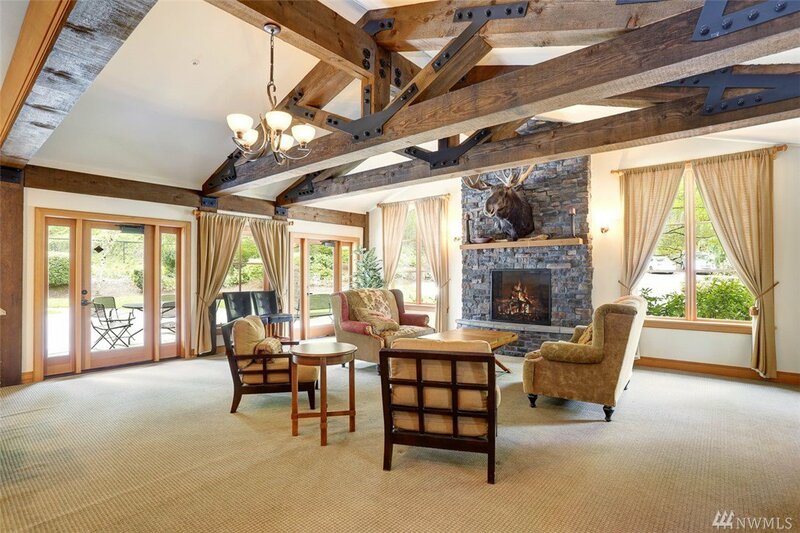 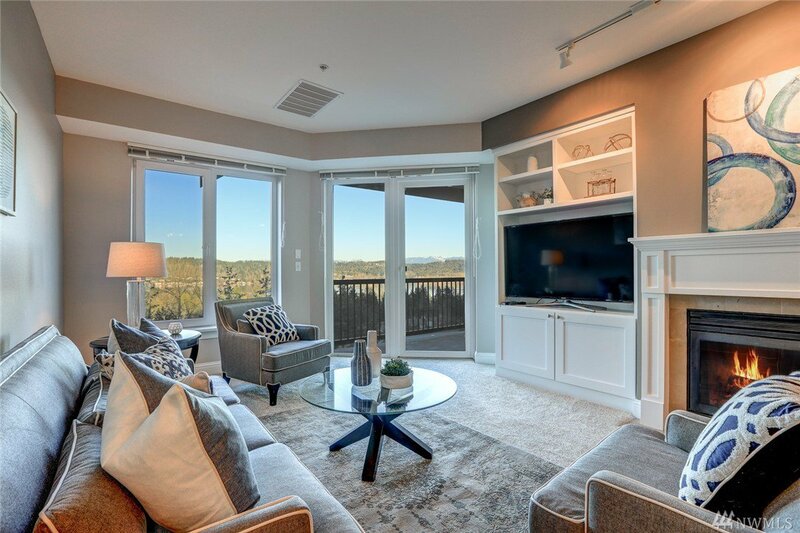 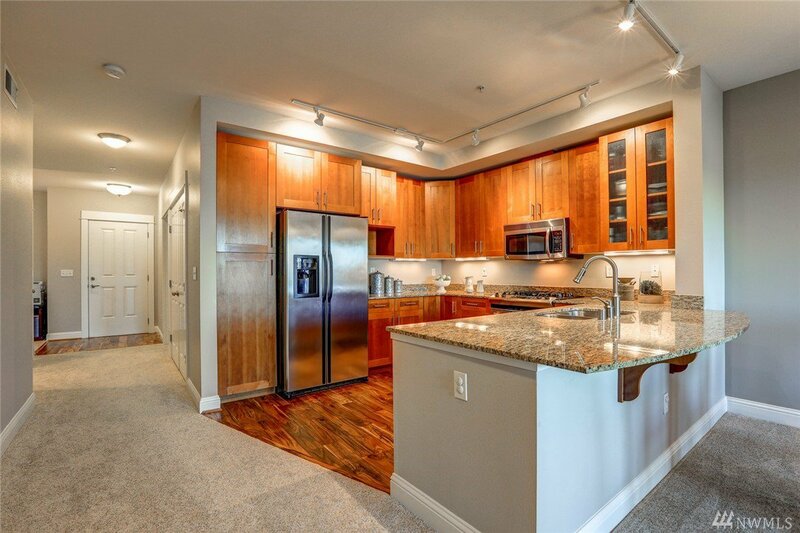 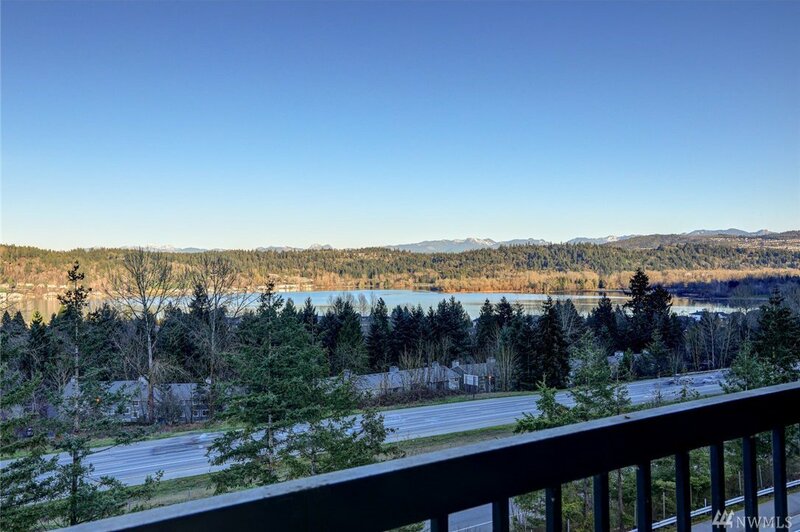 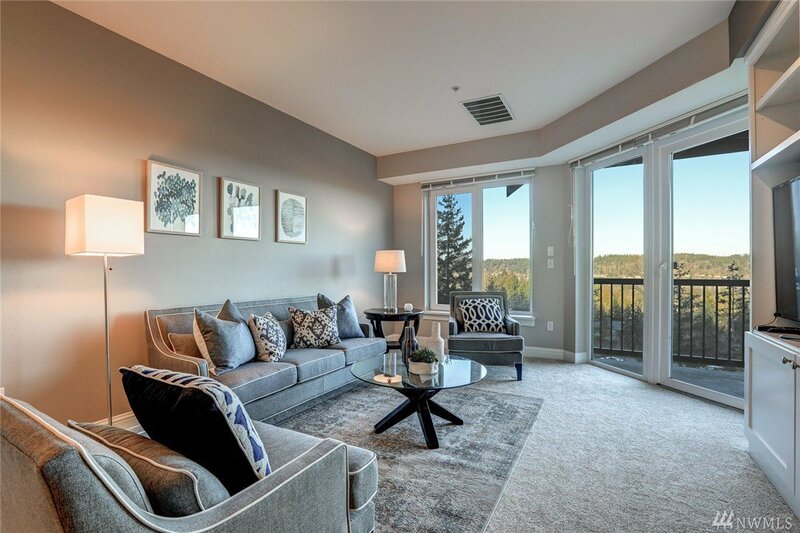 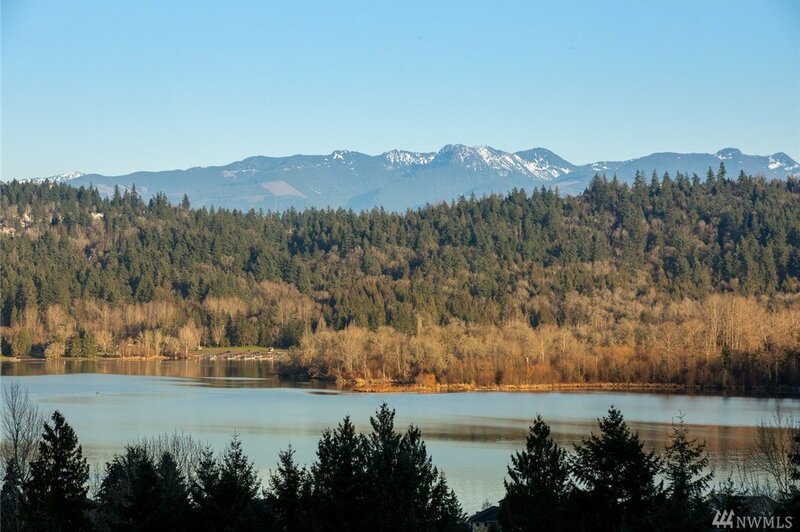 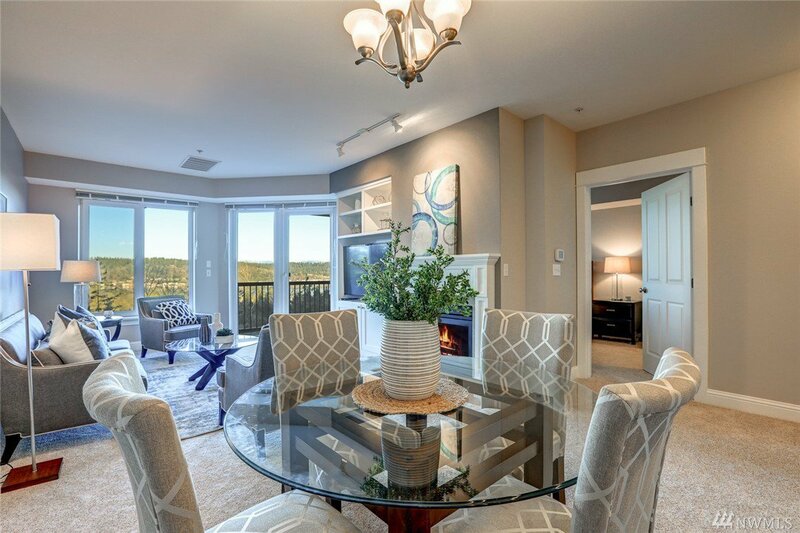 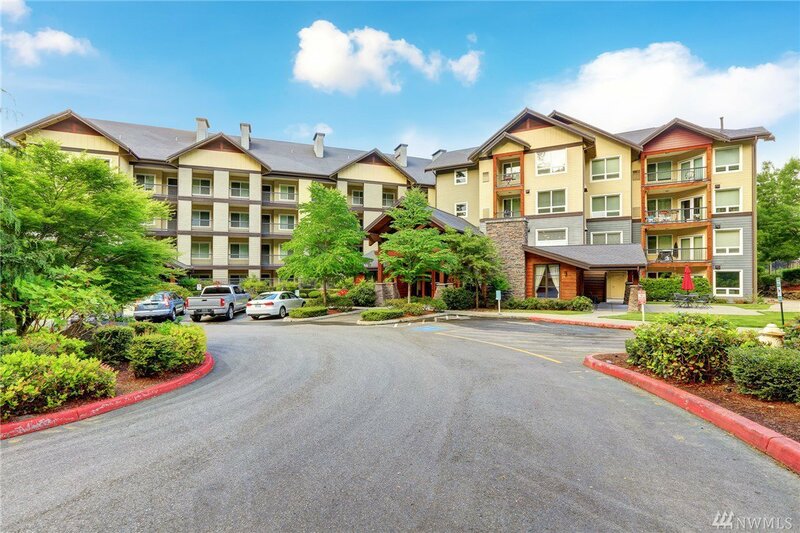 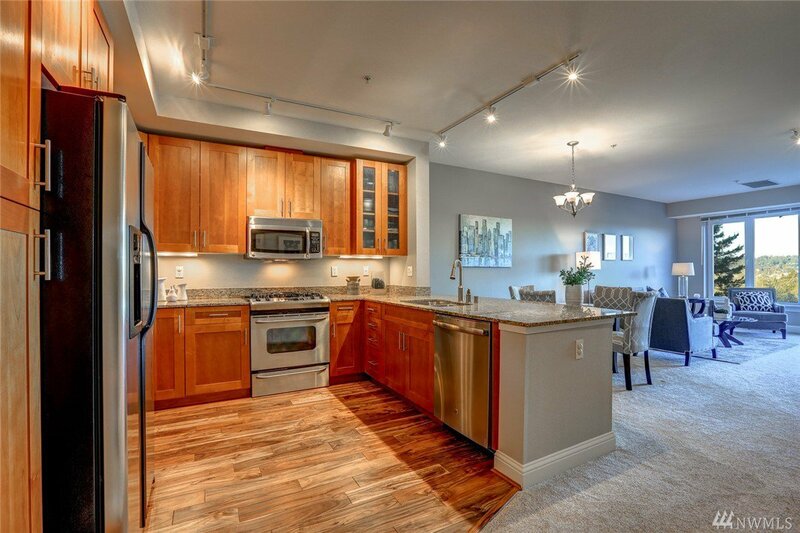 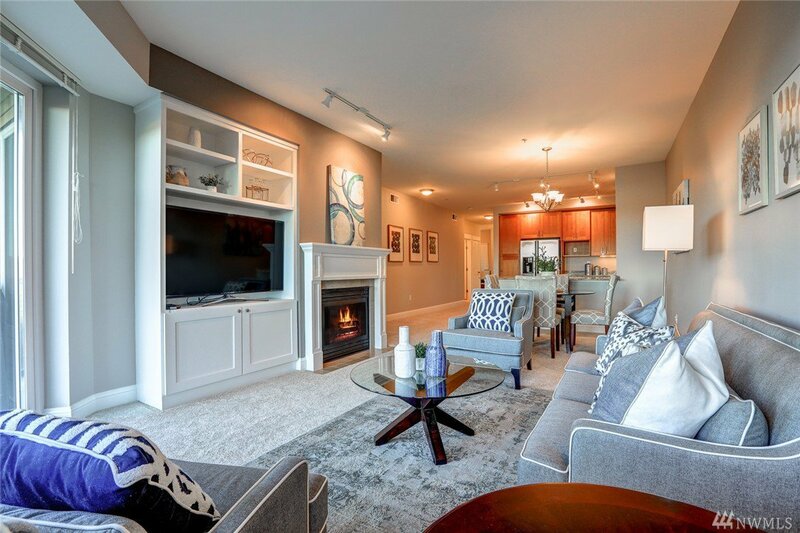 Open concept top floor unit with amazing views of the lake & mountains. 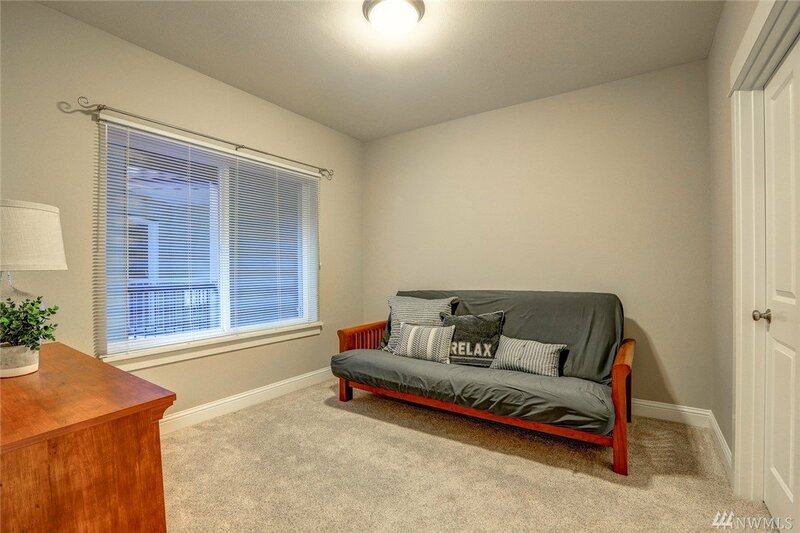 New paint & carpet, move in ready. 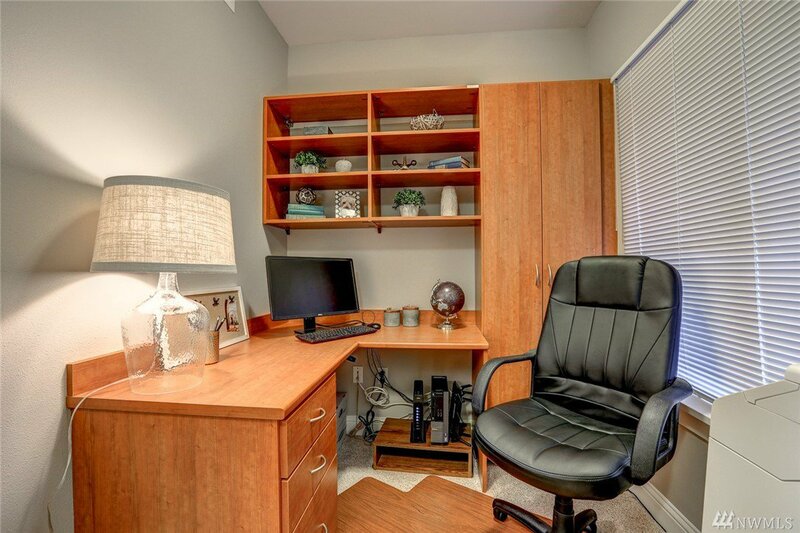 Building quality shows with no upcoming assessments. 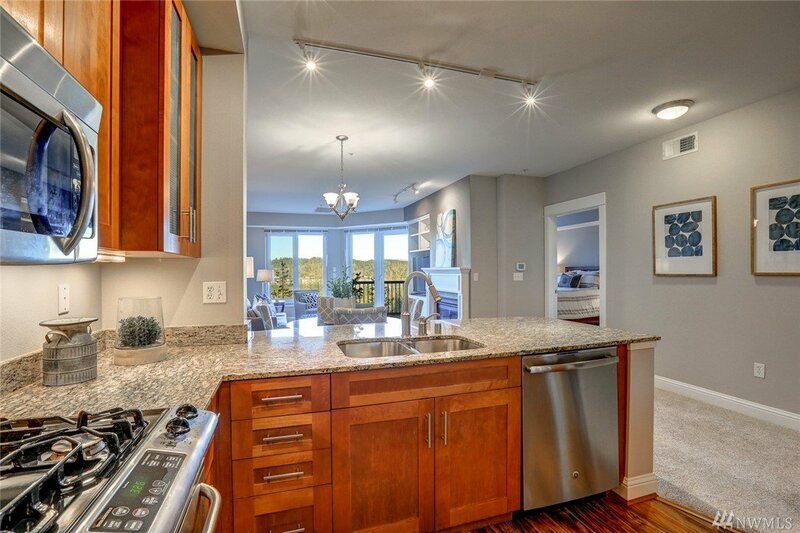 High end finishes throughout, chef's kitchen w/wood floors, slab granite counters, SS appliances & gas range. 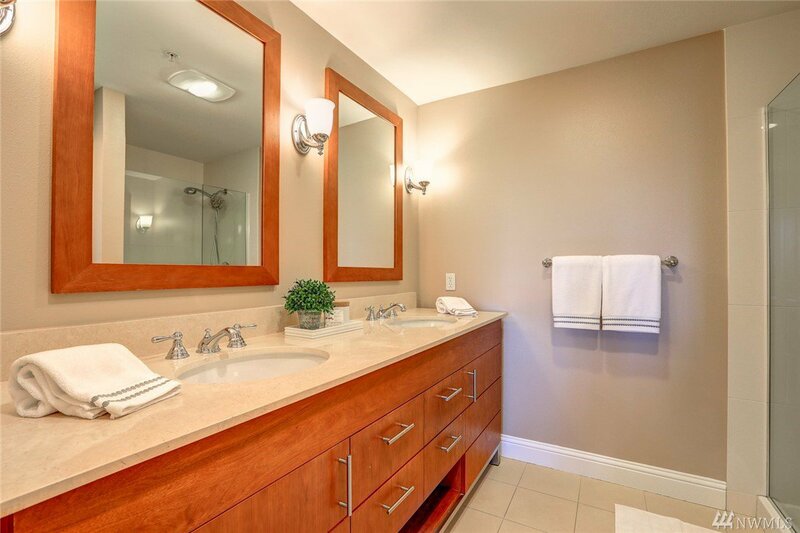 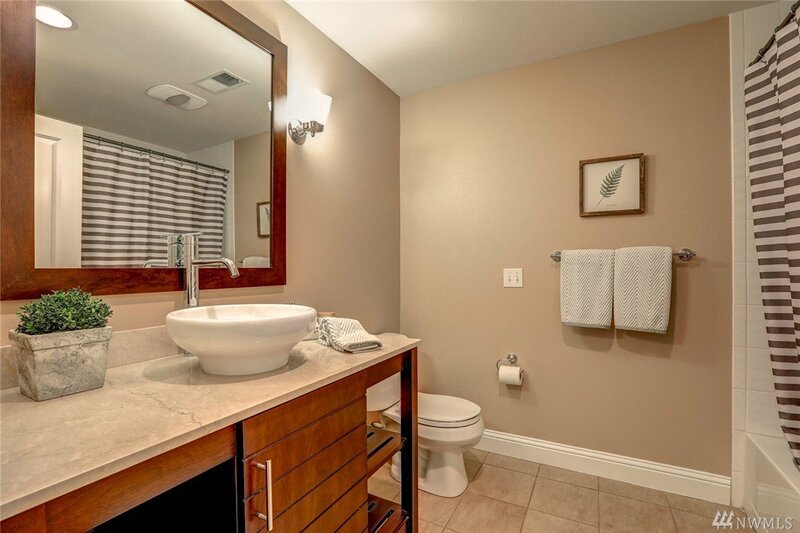 Marble counters and radiant floor heat in bathrooms, built-in desk in den, walk-in closet in guest bdrm. 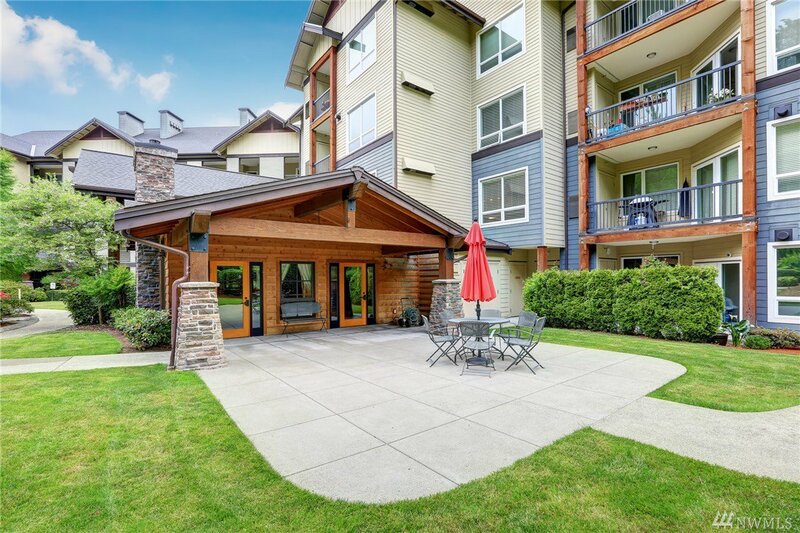 Deck for BBQ, Central A/C, electronic air filter, 3 pk spaces in secure garage. 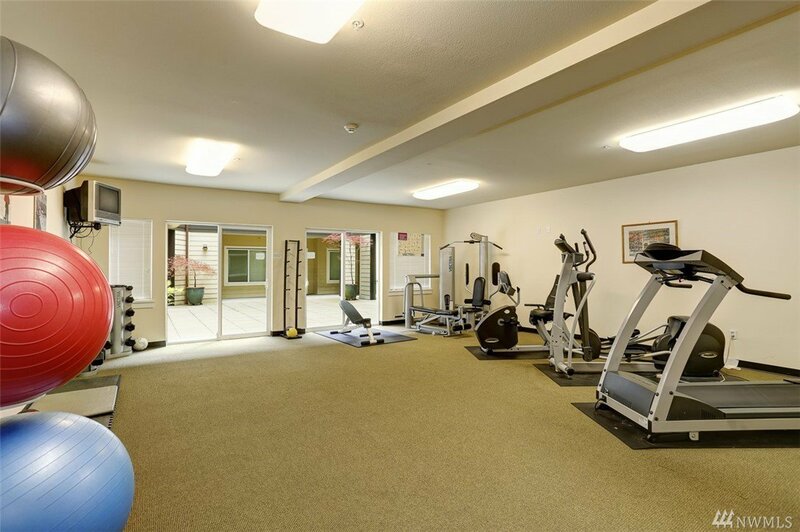 Strong HOA, community clubhouse, & gym.